A true gem of the Westside, this West Maui vacation rental has everything you need. 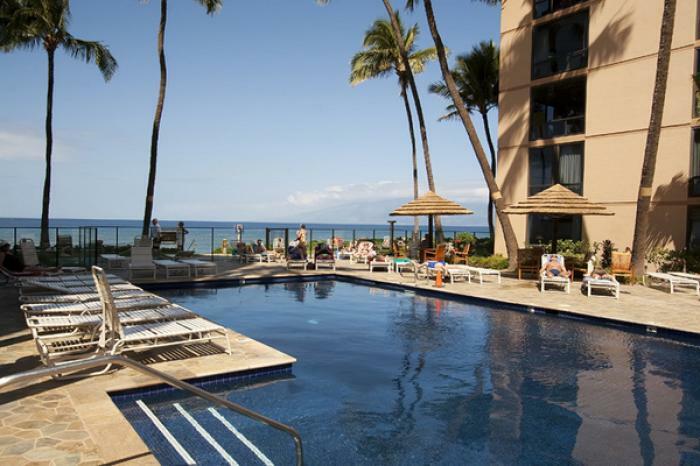 Relax and unwind at this upscale resort atmosphere with oceanfront studios, one and two bedroom unit's right on the Kaanapali's scenic North Beach. Miles of open, open beach await you for strolling and world-class snorkeling while breathtaking oceanfront views meet you from your living and bedrooms all with central air. Watch the whales frolic offshore in winter or the sun dip into the deep blue Pacific from the comfort of an oceanfront pool and BBQ area, or experience the culinary and fashion delights of Hawaii at the nearby Whaler's Village. These Maui condo rentals are also equipped with two tennis courts, Jacuzzi and shuffleboard. With the Mahana's central location, the charms of Kapalua with its world-class golf courses and exciting Zip lines are only ten minutes north while historic Lahaina Town is a mere ten minutes south. Come and experience why the Mahana is considered one of the finest Maui condo rentals on the entire island. Call Andrea directly to start building your ultimate Maui vacation.